Are Teeth Important When It Comes To Your Mate? Aug 13 • Health • 883 Views • Comments Off on Are Teeth Important When It Comes To Your Mate? Everyone has different characteristics that they expect their soul mate to have. However, studies show that very few people list good teeth as an important requirement in their chosen partner. Let’s take a look at why this often overlooked characteristic is actually extremely important when it comes to choosing a mate. Most people don’t realize that teeth are an important indicator of overall health. The same bacteria that cause tooth decay can spread and affect other parts of the body. There is some evidence that poor dental health correlates with serious conditions such as heart disease and strokes. According to the American Dental Association, people with gum disease are at increased risk of coronary artery disease due to oral bacteria forming clots in the blood stream. When poor oral health can lead to potentially fatal consequences, the advantages of a life partner who looks after their teeth are clear. Did you know that your partner’s dental health can affect your chance of having healthy children together? In particular, women who have gum disease during pregnancy are more likely to have a premature baby. Some dental problems have genetic factors, which means they could be passed on to your children. Choosing a mate who has healthy teeth maximizes your chances of having healthy offspring – which could explain why most people find healthy smiles attractive. Teeth say a lot about their owner’s lifestyle. 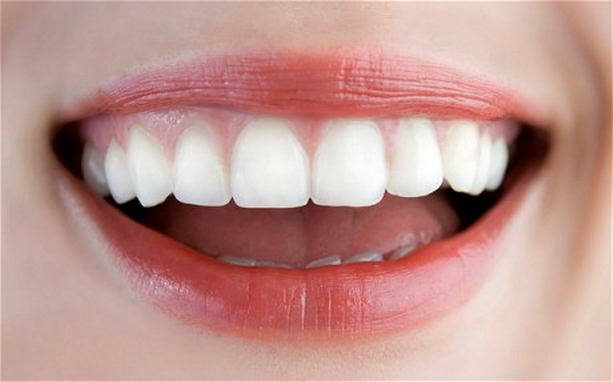 White, regular teeth indicate someone who takes pride in their appearance and is willing to spend time and money on looking after their health. On the other hand, discolored or decaying teeth could indicate that their owner smokes or eats an unhealthy diet. While other parts of the body can be covered up, teeth don’t lie; your potential partner’s bad habits are on display in their mouth. Exchanging smiles with a partner puts you at your ease and makes you both feel more comfortable around each other. Unfortunately, people with poor teeth are often reticent to show their teeth in a smile. Even if you know your partner loves you, it can be difficult to remember that if they rarely smile at you. Smiling helps to resolve conflicts, which means that a beautiful smile offers more than just aesthetic benefits when it comes to a relationship. Next time you’re out on a date, take a sneaky peak at your partner’s teeth; their appearance could reveal more than you realize. Encouraging your soul mate to keep up good oral hygiene practices once you’ve settled down together could protect you and your future children from serious health problems. Liz contributed this guest post on behalf of the Glebe Dental Group. Liz is a freelance writer after many years working as a dental technician. She enjoys dispelling the myths associated with dental hygiene. Could Stress Really Be Good For You?